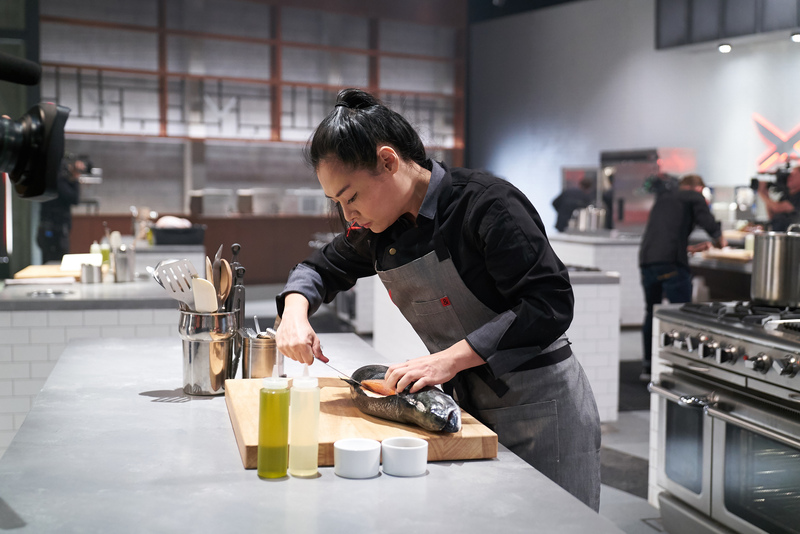 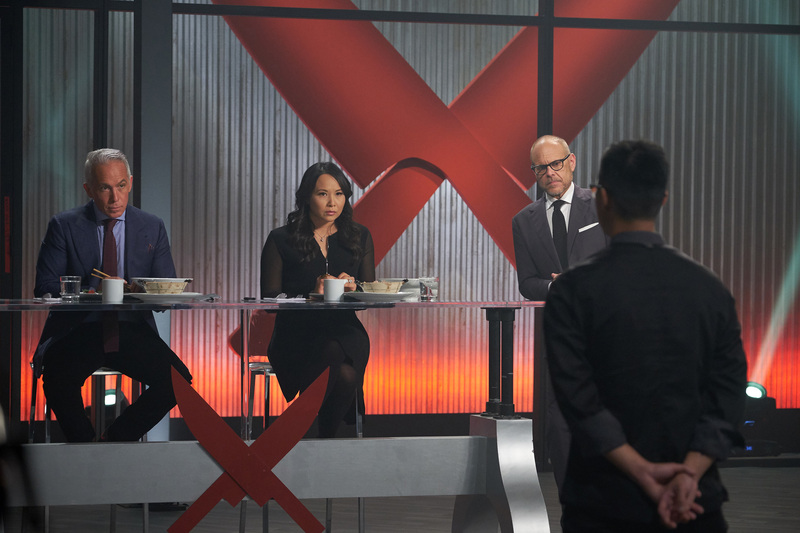 NEW YORK – March 1, 2018 – Iron Chef Gauntlet is back for a second season this spring, with seven rising stars battling for the chance to gain the only culinary title that matters: Iron Chef. 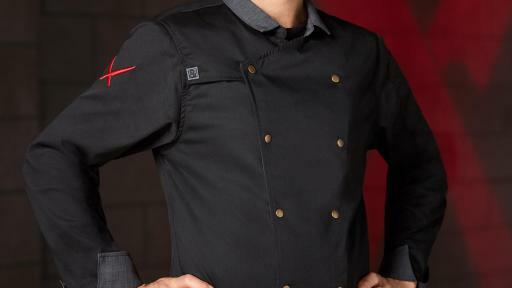 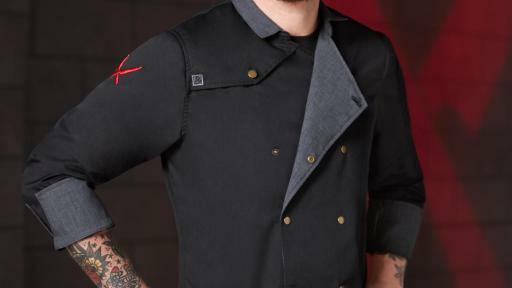 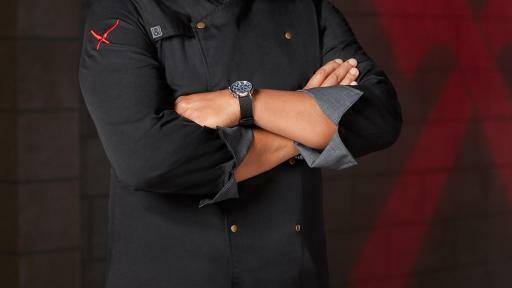 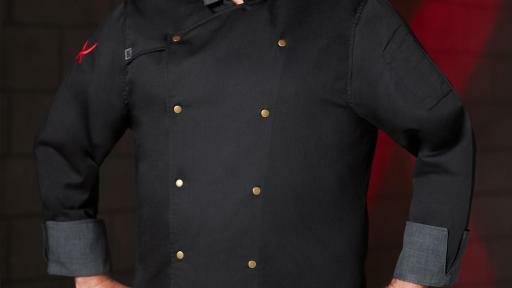 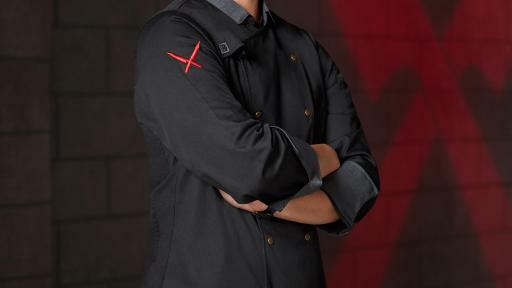 The weak will fall and the strong will rise until just one chef remains and has the title in reach. 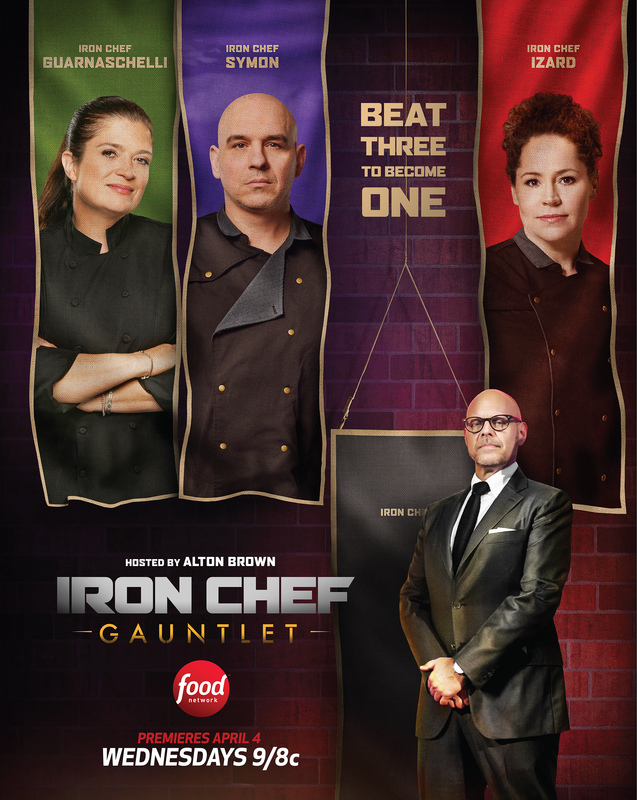 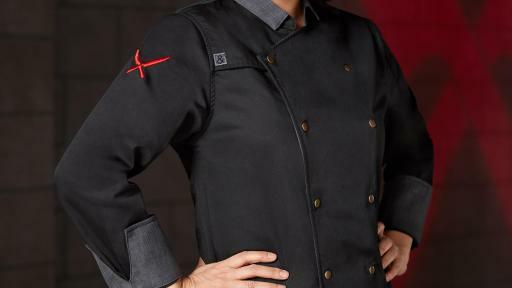 But to join the Iron Chef pantheon, the last chef standing must win the Gauntlet – three rapid-succession battles, each against incomparable Iron Chefs Alex Guarnaschelli, Stephanie Izard and Michael Symon – or leave the kitchen in defeat. 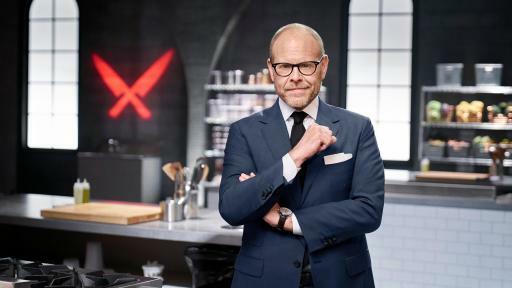 Hosted by the inimitable Alton Brown, the six-episode primetime event begins on Wednesday, April 4th at 9pm ET/PT. 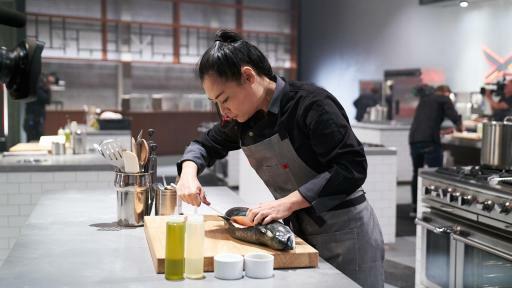 Online, fans can bring Kitchen Stadium into their own kitchen with digital companion series Iron Chef Mode, which offers Iron Chef-style cooking tips and techniques for the home. 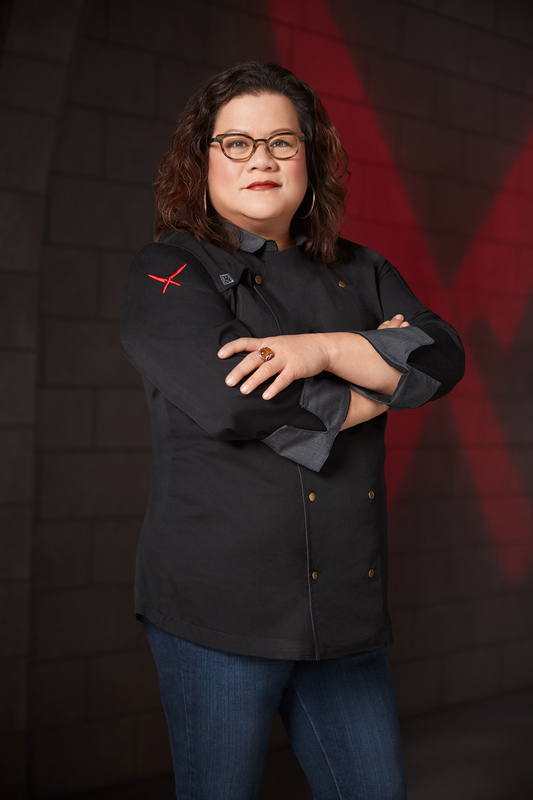 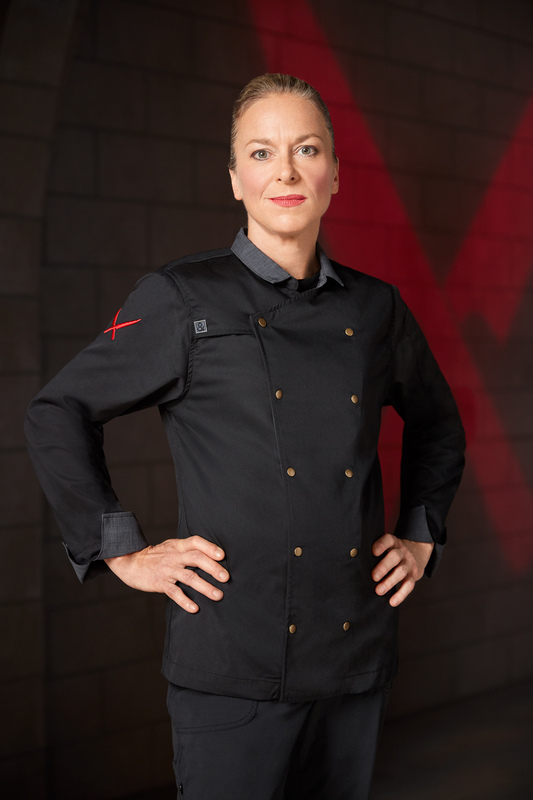 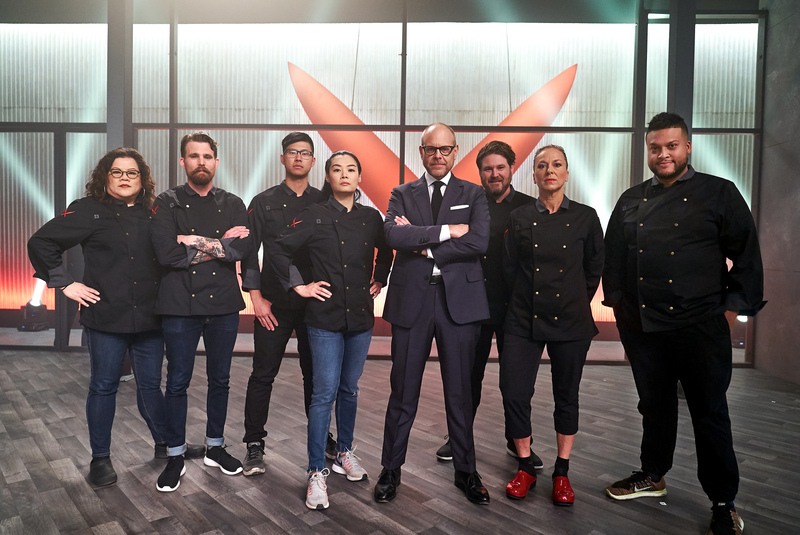 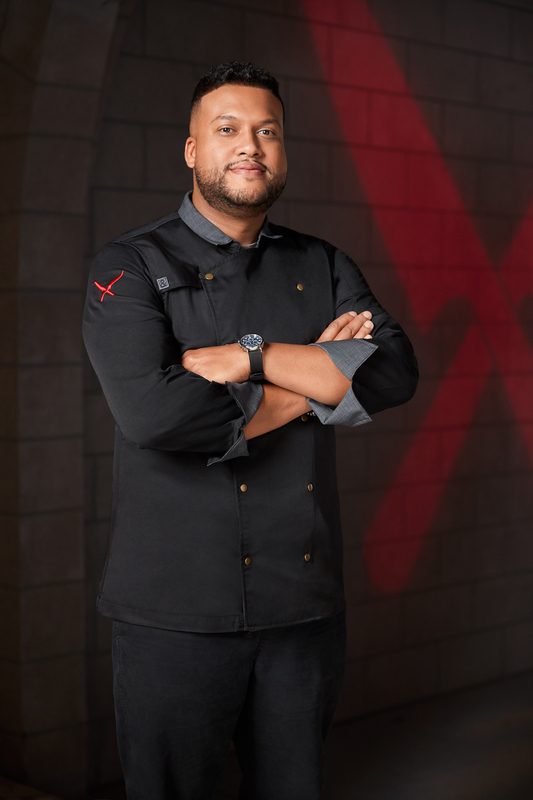 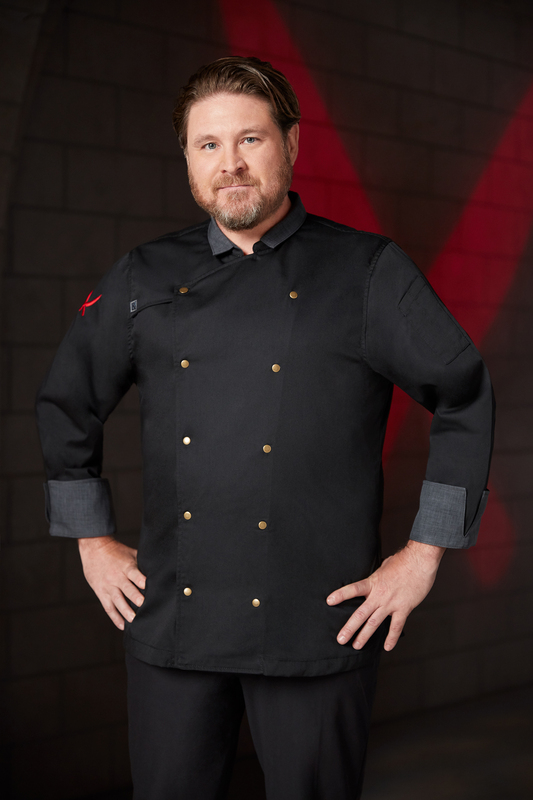 Iron Chef Gauntlet competitors are: Timon Balloo (Miami, Florida – Partner/Executive Chef, Sugarcane); Nicole Gomes (Calgary, Canada – Owner/Executive Chef, Nicole Gourmet); David LeFevre (Manhattan Beach, California – Owner/Executive Chef, Manhattan Beach Post); Dale Mackay (Saskatoon, Canada – Owner/Executive Chef, Grassroots Restaurant Group); Jeanie Roland (Punta Gorda, Florida – Owner/Executive Chef, The Perfect Caper); Hong Thaimee (New York, New York – Owner/Executive Chef, Thaimee Table) and Kevin Tien (Washington D.C. – Owner/Executive Chef, Himitsu). 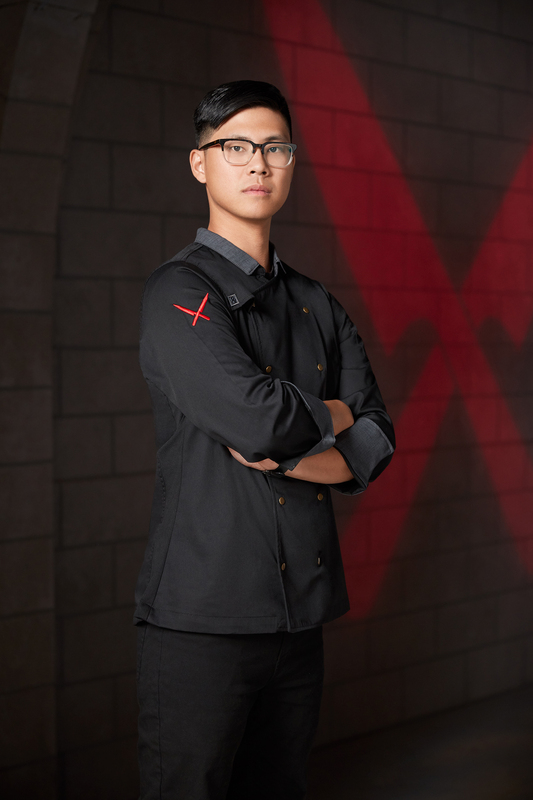 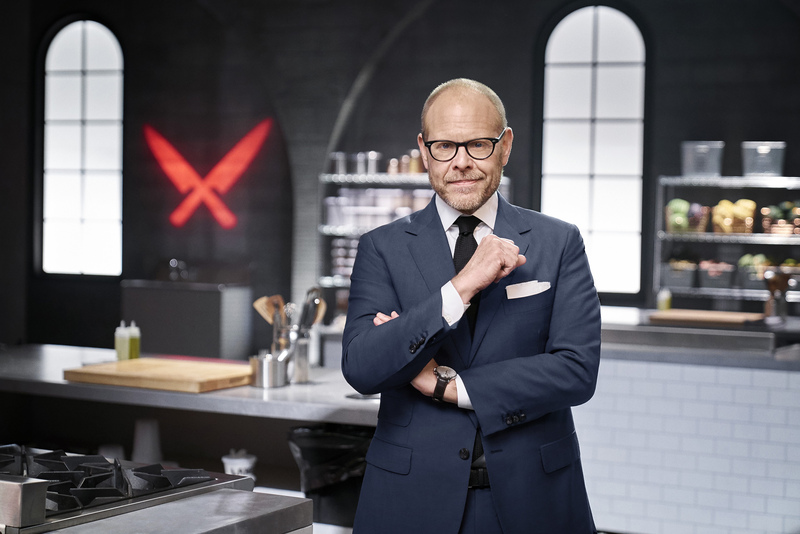 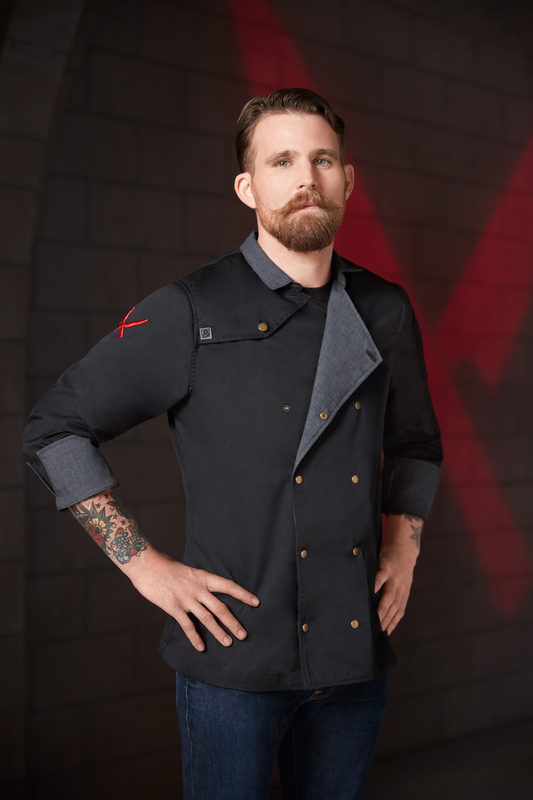 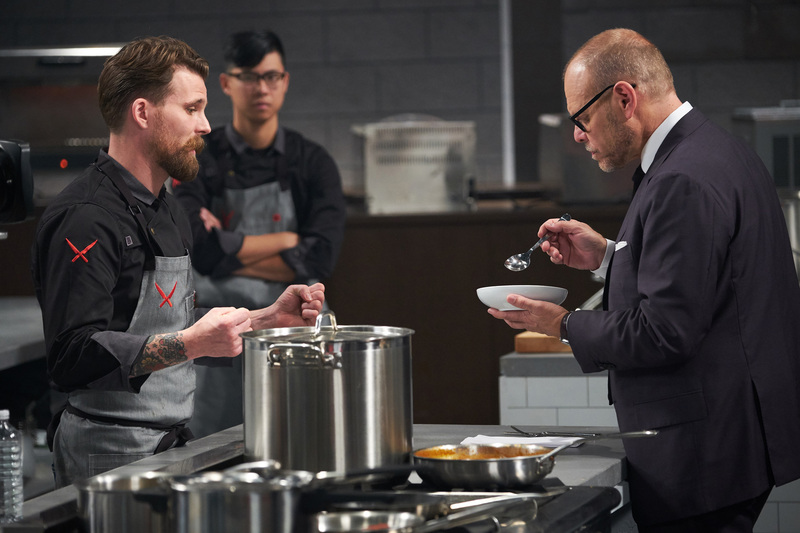 In the first five Iron Chef Gauntlet episodes, the competitors endure two grueling rounds of cooking starting with the Chairman’s Challenge, where host Alton Brown delivers a themed challenge and is the sole decision maker on the most and least successful chef. 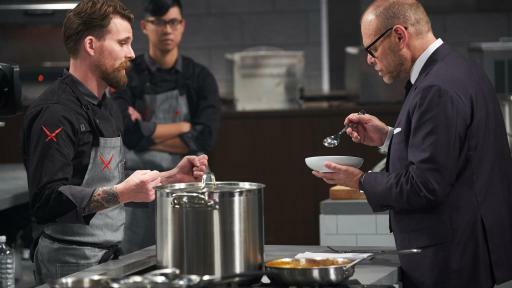 The winner then selects a competitor to join the bottom chef in the Secret Ingredient Challenge, where they must cook three dishes featuring a secret ingredient. 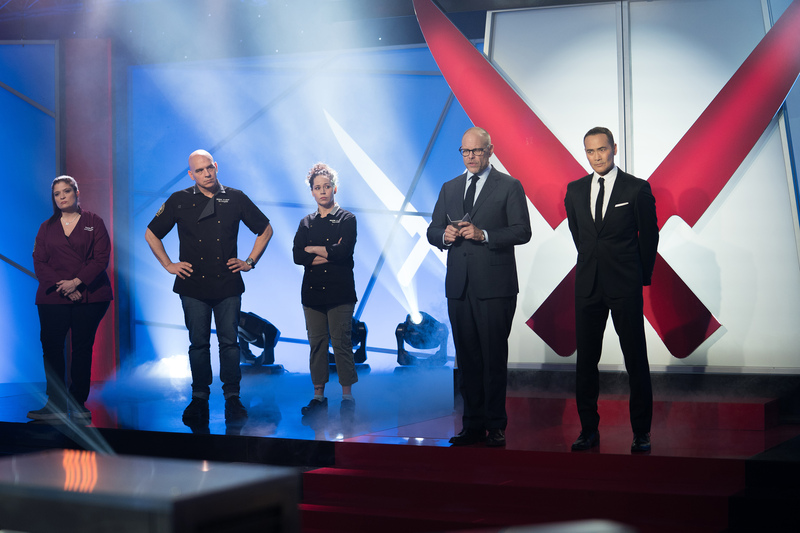 A panel of rotating judges send the least successful chef home each week, while the winner is sent back to battle. 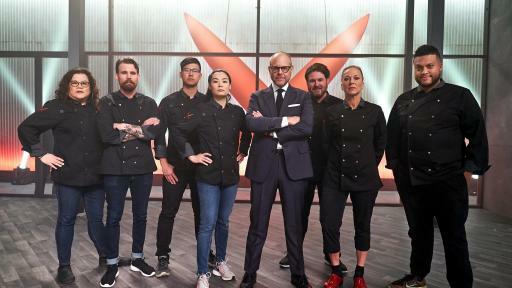 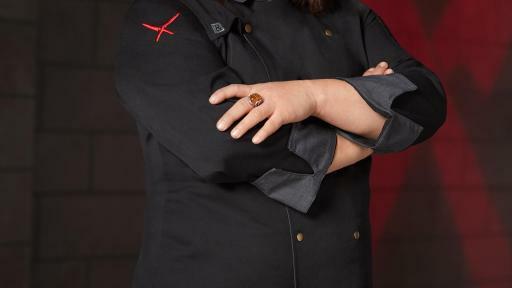 In the finale on Wednesday, May 9th at 9pm, the last chef standing has the Iron Chef title in reach – but first, the chef must run the Gauntlet - three rapid-succession Secret Ingredient battles, each against one legendary Iron Chef: Alex Guarnaschelli, Stephanie Izard and Michael Symon. 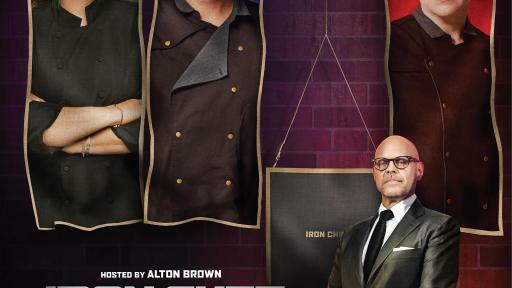 Only if the finalist receives more points than the Iron Chefs combined will history be made, joining the coveted ranks of Iron Chefs, otherwise they will leave the kitchen in utter defeat. 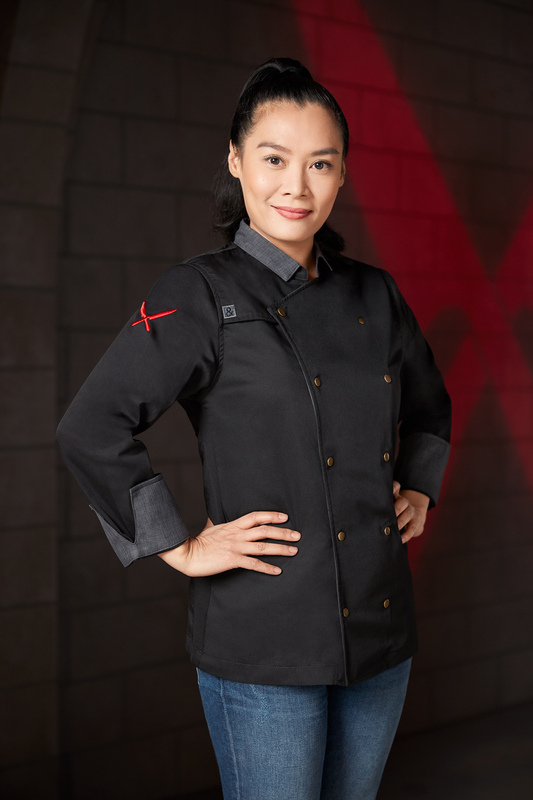 For fans wanting more, digital companion series Iron Chef Mode takes inspiration from the amazing feats of cooking that we see in Kitchen Stadium and offers culinary tips and tricks they can use in their own kitchens. 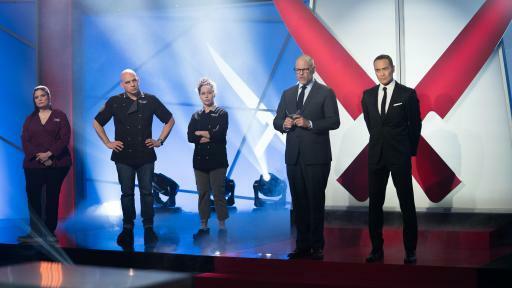 Viewers can also meet the challengers and find out more about the Iron Chefs and guest judges at FoodNetwork.com/IronChefGauntlet. 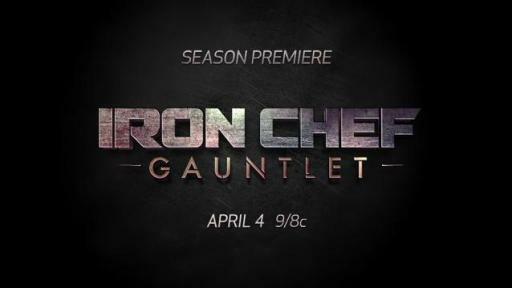 Plus, join the conversation on social media and watch for exclusive content using the hashtag #IronChefGauntlet.